28 June 2009: Since the 19th century regional planning and cooperative efforts have taken root in Canada, Europe, the United States and to a lesser extent in other developed countries. A major source of inspiration has been the growth of city regions and their importance to the national economy. Urbanization, which took on a new dimension after the second world war as a result of rapid growth in suburban communities, led to more substantive and sophisticated efforts than previous examples. One such effort is the regional district system of British Columbia, which permits an opportunity to achieve fiscal equivalence for many services across different boundaries without the need for single or multipurpose special government vehicles. In short, service provision can be offered regionally, sub-regionally or locally on any scale desired by the communities in question through the medium of service agreements within the coherent framework of a regional district. In Canada - a country of 10 provinces and three territories - local governments, as in the case of the US, are not recognized as distinct or separate forms of government by the federal constitution. Local governments are thus creatures of the provinces and obtain their powers and jurisdictions from them. The level of latitude accorded local government units, as with the US states, varies. However, unlike the US, Canadian provinces have been more proactive in altering and eliminating aspects of their local government systems. Where most Canadian provinces have chosen the consolidation route in restructuring local government boundary issues, three Canadian provinces have been leading regionalization in local governance since the 1950s. During the 1950s it was the experiments of Ontario (particularly the Toronto Metro system) that became known, and then inspired changes outside Canada, most notably in Miami-Dade County in the US (which made changes having a dynamic effect on urban county provision of services in other states). The effects extended to London, England, in the new forms that emerged during the 1950s and 1960s. Currently, the systems of British Columbia and Quebec are attracting attention. This article will examine and discuss the regional district system of British Columbia, which exemplifies an approach that is most common in the United States and Europe, the leading regions where the system is applied when it comes to local government integration  that is, interlocal cooperation. They could be termed the ‘low hanging fruit’ in that they require fewer structural changes thus making them more acceptable to autonomous local units in these regions. Such arrangements in the US and Europe generally tend not to evolve, and even dissolve when serious points of conflict arise between localities. The example of British Columbia illustrates that support from higher levels of government can help communities overcome such weaknesses. The test is to see how far such a system can go to deliver results on the order of the more structured productive examples that are in place elsewhere. The government of British Columbia’s dedication indicates that this is a challenge it is willing to accept. In this time of fiscal stress, when such arrangements can be a source of support, its ability to meet the challenges of the day needs to be enhanced, facilitated and supported. And if simplifying governance structures can also be achieved, then this is the time for it. British Columbia has more than 40 years’ experience in the development of regional governance institutions. Such an integrated system provides a political and administrative platform for service provision regionally; sub-regionally and locally. Accordingly, thousands of service partnerships have been established so far under this framework. This has effectively rendered municipal consolidation a non-issue in the province, contrasting sharply with other provinces (which to an extent have also included Ontario and Quebec) where consolidation has been the major theme - since they did not take the path of British Columbia in the 1960s. Perhaps this is because the perceived benefits of consolidation are more easily provided through the medium of the existing flexibility of the regional district system rather than that of undertaking an expensive consolidation process that could fail. Outside British Columbia, France is the only region where generations of inter-municipal cooperative arrangements of this type have developed and grown in complexity since the pioneering examples of 1890. The ills of fragmentation rather than urbanization have been the driving force in France. This is because it has had local fragmentation of an order generally unmatched, which has led to its pursuit of local integration that has inspired action beyond its borders. The example of France illustrates that fragmentation creates structural weakness without integration. Its high level of fragmentation (with no provinces and very few counties) previously made it more obvious, before metropolitan growth and suburban growth made it evident elsewhere. In 2003 City Mayors covered one example of the modern generation of French systems: the Nantes Urban Community. [See: ”Nantes and neighbouring communities transfer powers to joint urban authority”]. France also has regional bodies that are not to be confused with the regional district’s geographical reach in British Columbia. French regions are the developed result of a regional policy that has been unfolding since the 1950s and inspired by the book “Paris and the French desert”, which by the late 1940s illustrated how Paris was becoming the sole economic engine to the detriment of the rest of the country. This also hints at the possibility that inter-local cooperation can fail to meet the challenge of delivering substantive economic improvements on a large scale. [See later discussion in the France section of this article]. As the Montreal region’s example illustrates, Quebec’s changes have found some identifiable inspiration in France as well. There is no denying that local governments in British Columbia achieve the benefits of larger scale while preserving those of local autonomy and control. With the states in the US now becoming involved in the discussion of local government consolidation (and service delivery alternatives), which had usually been a local issue, the British Columbia example now has added relevance in the US. No state government in the US has been as supportive as British Columbia since the 1960s in promoting efficiency in local government service delivery, and the results illustrate the difference. This might well be the time to change the paradigm. The system has produced practical benefits in planning and service provision but as yet has still not reached its full potential. The province has been considering how to make the regional governance systems even more effective. This is a continuing exercise which has seen some emerging themes - one them, articulated by a Task Force on Community Opportunities, is to provide incentives for collaboration in regional scale service delivery or economic development. Another one considers ways of forging inter-regional district partnerships for services more effectively provided for at a scale larger than the prevailing regional district application level. An emerging tendency also focuses on the critical subject of political leadership growth, for the development of leaders who can be effective in working between governments. The setting up of the new Leadership Academy represents a step in this direction. One of the major activities of the Academy will be to work on developing political leadership in intergovernmental relations. US states and European nations might wish to consider the latter as an especially critical factor in the continued evolution and sustainable maintenance of inter-local cooperative mechanisms. Dispute resolution skills are a component as well. It has taken more than 40 years of experience of trial and evolution to lead provincial officials into exploring these themes, which are not so clear in regions lacking such consistent support. The unique achievement of this system is that it not only represents a venue for inter-local service agreements, but at the same time has made largely irrelevant the need for special districts - which in the US has been the fastest-growing segment of local governance mechanisms despite the existence of inter-local cooperative arrangements between communities. Luther Halsey Gulick, a renowned authority on municipal finance and administration, asserted in ”The Metropolitan Problem and American Ideas”, published 1962, that three basic failures could be identified in the metropolitan regions. He said: ”first, the failure to extend high standard government protections and services to the spreading settlements of homes and economic enterprises; second, the failure to produce area-wide goals and programs of action, including control plans, through the normal democratic process of debate, compromise and community-wide actions; and third, the failure to develop teamwork machinery for the metropolitan area, founded on a broad constituency and guided by local leaders and appropriate representative institutions”. ”American Metropolitics”, by Myron Orfield, Brookings, 2002), despite the creation of mechanisms to address these things, in some places north of the border actions have been taken with a 40-plus year history of experience in solving the problems associated with metropolitan population growth and suburban expansion within a fragmented local governance system. It might appear that British Columbia responded to his concerns and soon afterwards began establishing a framework for the regional district system that has since evolved. Or rather, in seeking to deal with the practical problems created on the ground by changing conditions, British Columbia developed a solution that tackled those shortcomings identified by Gulick that characterized rapidly expanding metropolitan regions. Robert L. Bish, an American professor at the University of Victoria between 1981 and 1998, and co-director of the Local Government Institute from 1995-2002, has been a keen observer and analyst of the regional district system. His website http://www.rbish.ca/ makes available some of his publications on the regional district system as well as on the subject of local governance in the province and beyond. The author of this article, in the descriptions that follow of the regional district system, has drawn on the materials provided by Professor Bish, on what is available in publications of the province, on presentations given by provincial officials, as well as other available sources. (See also the links in the reference section contained in the long version of this article, available on request to readers). Since British Columbia does not have counties, outside municipalities in the unincorporated sections of the province governance mechanisms include school districts and improvement districts (the equivalent of the special district in the US). Historically the province has also generally provided for roads and law enforcement. The arrangement is a little different in native tribal territories. This Canadian province is renowned for its natural beauty. In area it is larger than the combined states of California, Washington and Oregon. Half the population of more than two million lives in metro Vancouver, the third largest metropolitan region in Canada, while 356,000 reside in metro Victoria, the Capital Region, which is the 15th largest metropolitan region in Canada and the second largest in British Columbia. The provincial population is estimated at four million. Some 90 per cent of the provincial population lives on 1.4 per cent of the territory, with two-thirds residing in 19 municipalities with populations in excess of 50,000. As explained in a provincial government publication Primer on Regional Districts in British Columbia the province underwent rapid expansion at the time the regional districts were devised as a solution. • "free rider" circumstances where residents of rural areas could use municipal facilities without paying a fair share of the costs, most evident, but not limited to the case of recreational facilities and services. Hence, legislation enabling the creation of regional districts was introduced in 1965. Some 29 areas were identified, with the local governments and areas contained within their boundaries authorized to engage in land use planning and zoning. The sizing of these 29 areas was used as base school district boundaries “but with a number of compromises necessary to ensure that each had a reasonable tax base“. (See page 6 of the publication Primer on Regional Districts in British Columbia) It was left to them, to the governance bodies and electors contained within these areas, to opt for constituting a regional district. If regional districts were constituted they were provided with a bare framework with further definitions left open to them. This initial concept contained procedures for representation, financing, the adoption of activities and the definition of boundaries for different activities. Save for authorization granted for land use planning and zoning outside municipal boundaries, additional roles were not determined at the outset. However, a couple of provincial mandates facilitated the institutionalization of the districts. The two mandates were the 1967 establishment of regional hospital districts, which had boundaries and membership coterminous with municipal regional districts, and the creation of the Municipal Finance Authority in 1971. Both of these dealt with the harmful inequities that affected both large and small units in different ways. Over the next five years, 29 regional districts were incorporated. This did not happen immediately. Incentives and the mandates facilitated collaboration. “The districts currently number 27 (one having split into two in 1987 and three were merged in 1994), covering the whole province except for its northwest corner with its sparse population. The primary objective in this restructuring was to create a stronger governance framework for effective regional growth management as noted in the Primer. As British Columbia permits citizen participation via direct democracy mechanisms, the citizens of the province can also participate in the evolution and choices made in the operations of these bodies. Districts have a few shared characteristics, beyond which they diverge to suit regional circumstances and choices. “First, regional districts provide regional governance and services for the region as a whole. They provide a political forum for representation of regional residents and communities and a vehicle for advancing the interests of the region as a whole. “More practically, they provide a vehicle for the delivery of typical region-wide services like economic development, water supply, sewerage disposal, and solid waste management. The regional district regional service role is one, which can be misunderstood. In particular, the roles of the municipality and the region can be confused. Perhaps the best way of describing the respective roles is to say that the regional district is the wholesaler while the municipality is the retailer. The regional district's customers are the municipalities while the municipal customers are the general public. This can be illustrated with respect to water provision. The regional district manages the central reservoirs and treatment facilities and delivers the water to the gates of the municipality, which in turn, acts as the retailer distributing water to individual customers. • a park service that enables parks in three rural electoral areas to be maintained. “Third, regional districts are, in the absence of municipalities, the ‘local’ government for rural areas. At the very least, this means that the regional district provides community planning and land use regulation in rural areas. However, in addition, it typically means the region is providing the following services: building regulation and inspection; nuisance regulation; street lighting; and house numbering. 1965: Amendments to Municipal Act authorize regional districts; and first regional districts are incorporated. 1967: Hospital Districts Act was adopted. Hospital Districts had boundaries and membership coterminous with municipal regional districts. 1968: Last regional district incorporated. 1970: Municipal Finance Authority Act is adopted. 1971: Municipal Finance Authority is established. 1979: Farmer Commission reviews regional districts. 1983-1986: Campbell Commission reviews regional districts. 1989: Regional district legislation is reformed; and, amendments to Waste Management Act mandate regional districts prepare solid waste management plan. 1995: Growth Strategies Act is adopted. 1998:Greater Vancouver Transportation Authority Act is adopted. 1998-2000: Regional district legislation is updated. While the basic elements were in place by 1970, the regional district system has not been static - it has had to adapt over time in response to a changing environment, provincial interests, local pressures or mutual local-provincial agreement. Adaptation was necessary and changes have been made to deal with new issues and challenges. In 1967, through the adoption of the Hospitals Districts Act, regional districts were granted responsibility for regional hospital capital financing, in large part, to introduce badly needed fairness in access to health services. For example, until that time the City of Prince George paid for all of the capital costs of the Prince George Hospital, which benefited the Central Interior. Similarly, small rural hospitals or diagnostic and treatment centers had to be financed by local improvement districts which varied greatly in terms of their financial capacity. In 1971 difficulties experienced by municipalities and regional districts in accessing capital resulted in the passage of the Municipal Finance Authority Act, which created the Municipal Finance Authority. This created an opportunity for local governments, through their regional districts, to pool their assets and borrowing requests and collectively approach the marketplace producing benefits in lower borrowing costs. In 1978 Hugh Curtis, then Minister of Municipal Affairs, initiated the Regional District Review Committee, which came to be known as the Farmer Committee. This was the first comprehensive review of regional districts since their inception. The Committee recommended retention of regional districts and made a number of practical suggestions for changes. In 1983, with the province deep in economic recession, the provincial government removed regional planning powers from regional districts and initiated a comprehensive review of regional districts led by the political "father of regional districts", Dan Campbell. This Commission was an informal exercise but it produced some very practical recommendations that ultimately led to substantial legislative change. 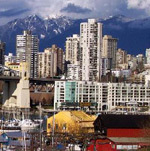 Between 1986 and 1989, building on the Campbell work, the Ministry of Municipal Affairs engaged in an extensive consultative process with the Union of British Columbia Municipalities (UBCM) and local governments to totally rewrite the regional district legislation. This solidified regional districts and eliminated innumerable cabinet approvals of regional district initiatives. More importantly, it pioneered collaborative approaches to legislative development between the province and local governments. In 1989 the Minister of the Environment, John Reynolds, following recommendations of a consultative process led by Jim Rabbit, former Mayor of Merritt, introduced amendments to the Waste Management Act which mandated regional districts to develop solid waste management plans by the end of 1995. This was not well received at the time by regional governments but over time there has been an acceptance that planning for environmental issues of this kind is best done at the regional scale. In 1993 and 1994, Municipal Affairs Minister Darlene Marzari spearheaded a consultation process that led to the enactment of the Growth Strategies Statutes Amendment Act in 1995. This was the result of a remarkable consensus by the province and local government on the need for more effective inter-jurisdictional co-ordination to manage growth. To date six regional districts have voluntarily adopted regional growth strategies. From 1998 to 2000, as part of the Municipal Act Reform process, regional district legislation was significantly updated, with its authority expanded to include the following: broad corporate powers; broad service authority; five-year financial plan requirements together with provision for service review and withdrawal and dispute resolution. The example of British Columbia illustrates that support from higher levels of government can help communities continue to evolve inter-local cooperative systems. The challenge is to see how far such a system can go to deliver results on the order of the more structured productive examples in place elsewhere. The government of British Columbia’s dedication indicates that this is a challenge it is willing to accept. In the United States and Europe, local governments, when seeking cooperation, most commonly pursue what this author terms the ‘low hanging fruit’ (and even this can be problematic). As illustrated by the example of the regional districts in British Columbia, there is room for evolution. The evolution of interlocal co-operation has generally taken too long in these regions when compared with the British Columbia’s system. Demographic changes, looming especially in the US, require that more efficient ways of structuring local governance is the pressing need of the hour. The Obama Administration has announced a metropolitan policy focus in the US. Hence, the federal government might also wish to look at the British Columbia approach. But as British Columbia has illustrated, its systems are not limited to urban areas but have rural relevance as well. *Mayraj Fahim, the author of this article, is City Mayors’ local government adviser. 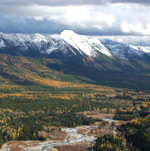 The full version of her article together with reference and source material can be obtained free of charge by emailing the editor, with 'British Columbia 2009' in the subject line. Please supply your name, contact details and, if applicable, your organisation/company/academic institution. British Columbia, renowned for its natural beauty, is larger than the combined states of California, Washington and Oregon. Anyone living in a region where there are counties, or similar counterparts with different terminology, and municipal units is familiar with what can be termed a federated (multi-tier) local system. However, what is not commonly known is that from the 1950s onwards, integrated federated frameworks were, and still are, being increasingly adapted for local regions. The main reason for this rise is that by the 1950s populations generally started moving from rural to urban regions. Integrated frameworks allow both for an efficient interconnected system and one that is also more grass roots- oriented, particularly when put into effect within the context of a city system that tends to deliver greater systemic equity across a region. Such systems have been established either by the linking up of neighboring units or by devolution. Integrated federated frameworks have been applied in citywide, countywide and multi-county frameworks.